Coolpad is not a new name in the field of phones and technology. Coolpad Group Limited is a Chinese company which has been contributing the wireless communication world since 1993. Nepali tech enthusiasts have already heard the name because the brand reached other 28 countries before releasing in Nepal. Coolpad is the pioneer of Dual mode and Dual Standby Handset devices. Coolpad have been applauded by lots of awards for its unique innovations. Coolpad was launched in Nepal by Coolpad Global CEO, James Du and Jaima Intercontinental Pvt Ltd (JIPL) Chairman, Mr. Ganesh Bahadur Shrestha in August 2016. JIPL is the sole authorized distributor and marketer of Coolpad smartphones in Nepal. 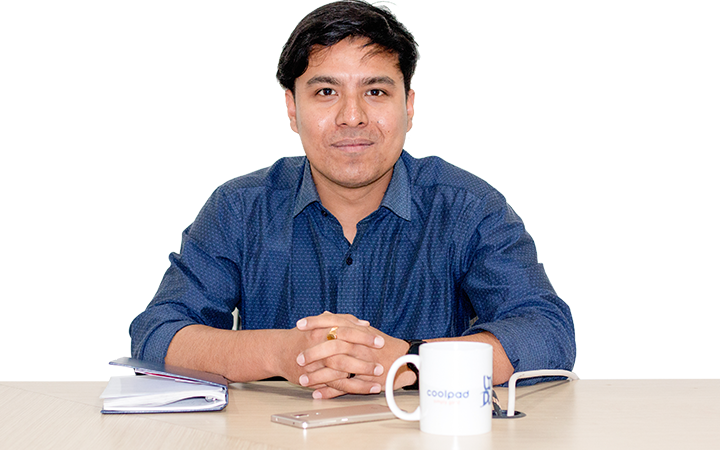 To know more about the brand, we talked with the Brand Manager of JIPL, Mr. Rupam Shrestha. Coolpad Cool1 dual was the first Coolpad phone released in August 2016 in Nepal. The phone is available with an internal memory of 32 GB, 3/4 GB RAM and 64 GB, 4 GB RAM. The size of the phone is 5.5 inches (1080X1920 pixels). Other features are dual 13 MP cameras, touch focus, Geo-tagging, face detection, panorama, HDR, secondary 8 MP camera and Non-removable Li-Ion 4060 mAh battery. Along with Coolpad Cool1 dual, three additional Smartphone models, Note 3S, Mega 3 and Mega 2.5D were also launched. Cool1 has been priced NRs. 30,996/- and is available in gold color only. The phone consists of two lenses: RGB sensor and monochrome sensor. Due to the presence of IR blaster, the phone can also act as a remote for A/C, Television, etc. Since the launch, the Coolpad market has reached Pokhara, Butwal and Kathmandu valley. Mega 3 is a triple SIM smartphone. There are more than 878 camera patents in Mega 3. There are more than 3000 experts of Coolpad inventing new things and more than 6 scientists of Coolpad around the globe. A distinctive feature of Coolpad is that while other phones work in 4G, the Coolpad phone works in 5G. Though the phone has already taken the market in 28 countries, it took 6 months more to release in Nepal. In those 6 months, various experiments were done on the phone. A team was called from the Coolpad headquarter; various tests like battery test, network test, temperature test were done on the phone on different altitudes of Nepal. It is a brand that has brought innovation and latest technology at an affordable price. So, consumers who are looking for high-quality phones at an affordable price, then Coolpad phones can be a right choice for you. You can easily find Coolpad phones anywhere at the heart of Kathmandu. Note: The article is based on the interview with Mr. Rupam Shrestha.